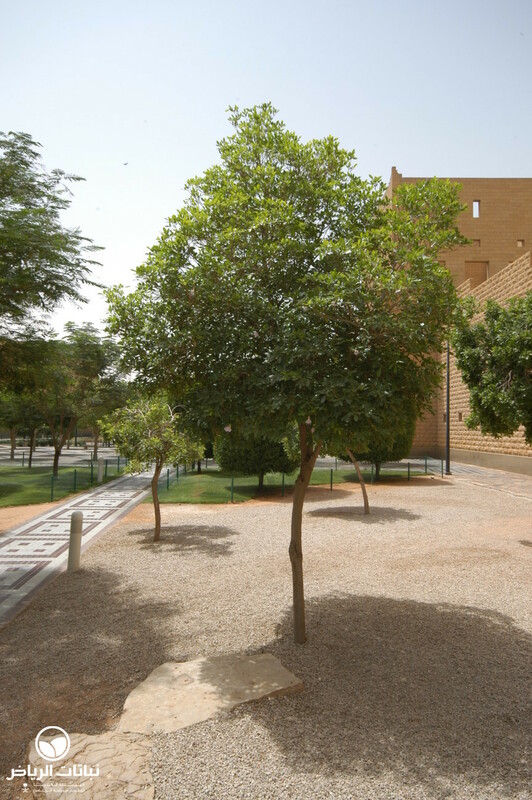 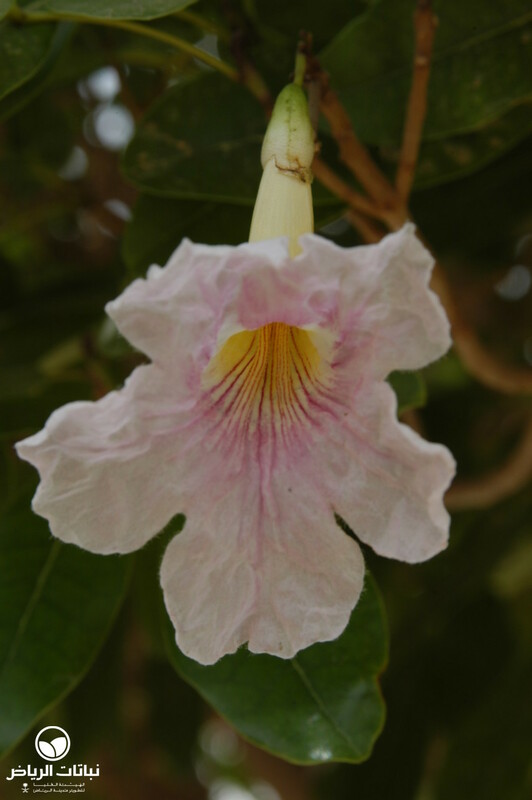 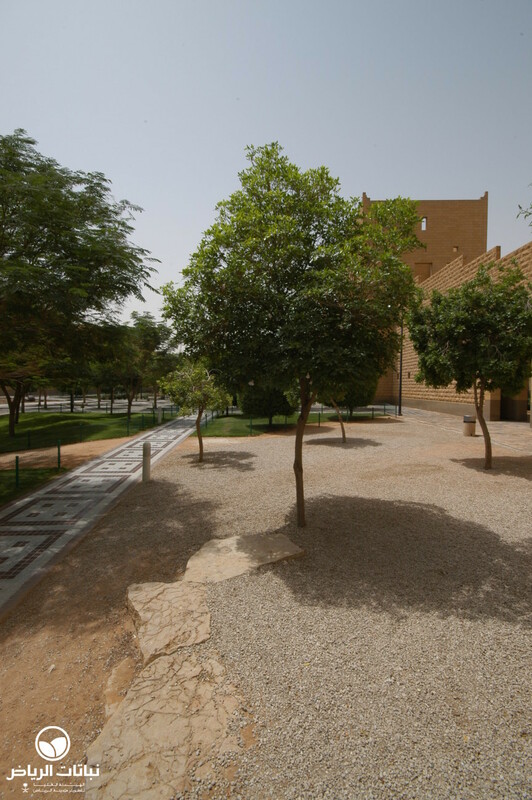 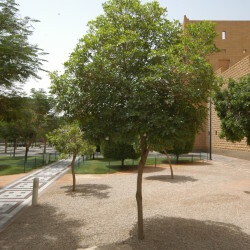 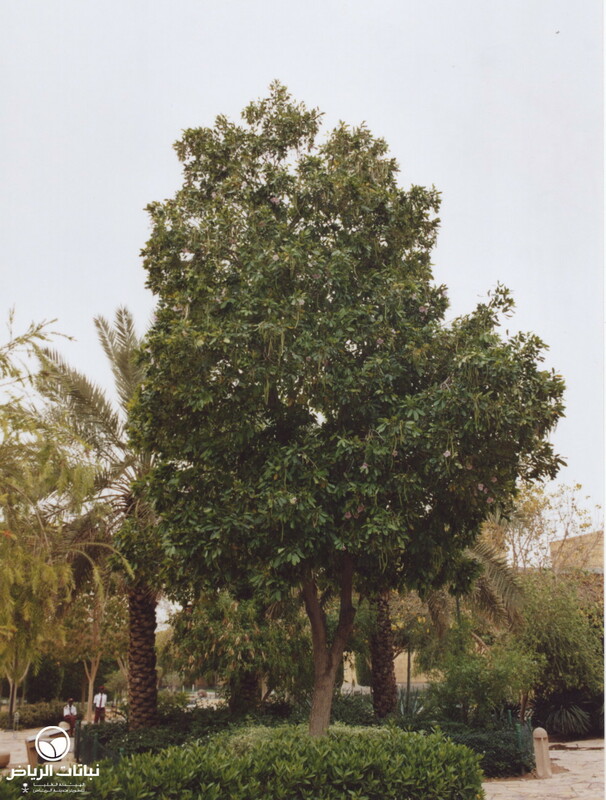 The Pink Trumpet Tree is a very beautiful, flowering tree in its native habitats of South America; in certain situations in Arriyadh, such as the King Abdulaziz Historical Centre, where the microclimate is suitable, it has become an attractive addition to the planting palette. 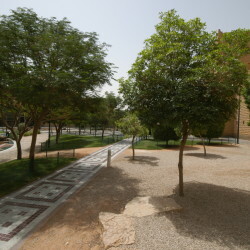 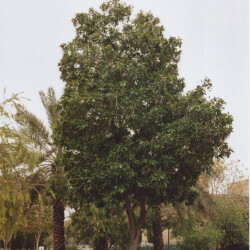 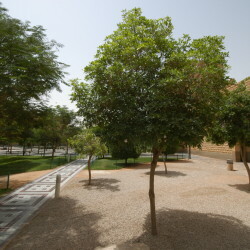 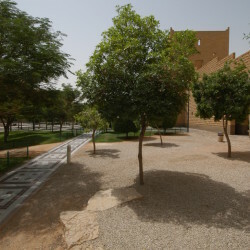 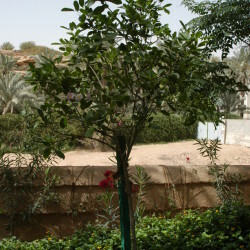 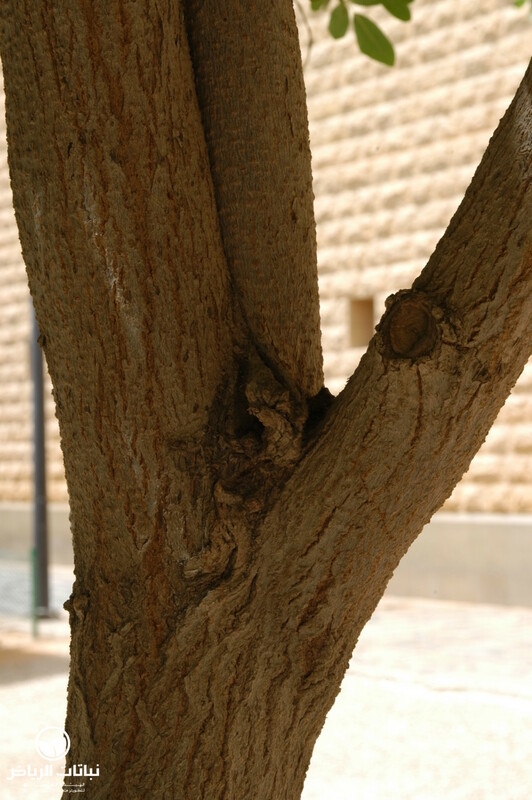 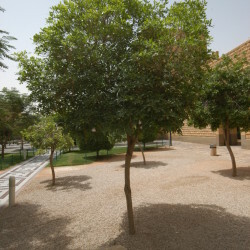 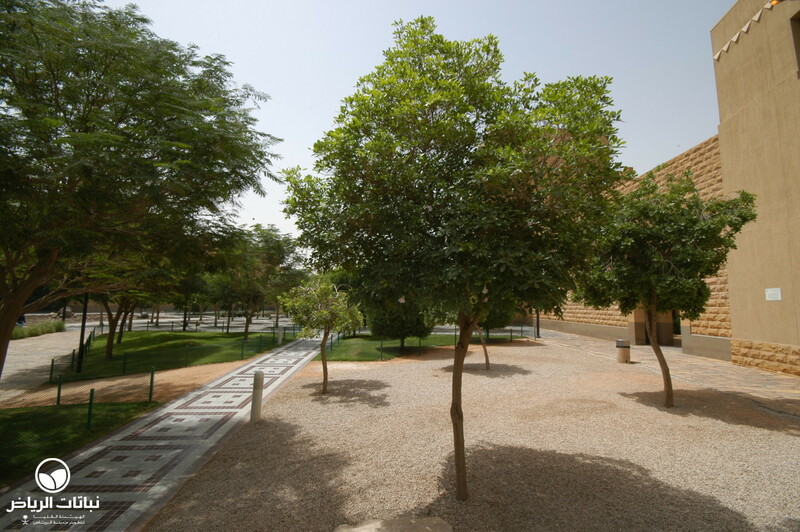 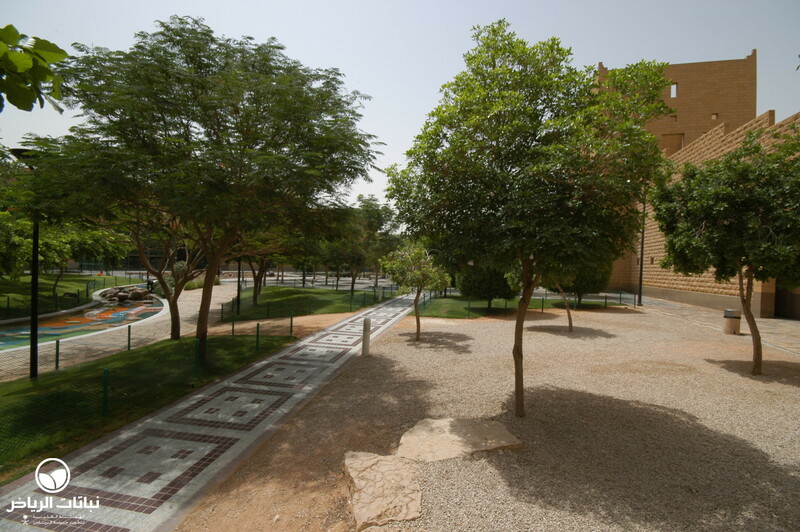 Fast growing and deciduous, it will reach a height of up to 25 metres, in Arriyadh much less; it has a wide crown with thick, layered branches. 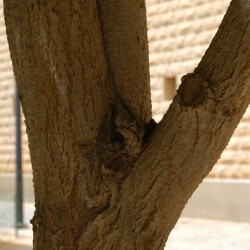 The bark can be grey to brown and vertically fissured. 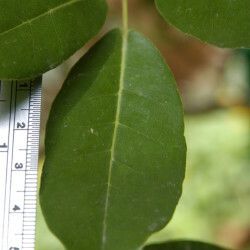 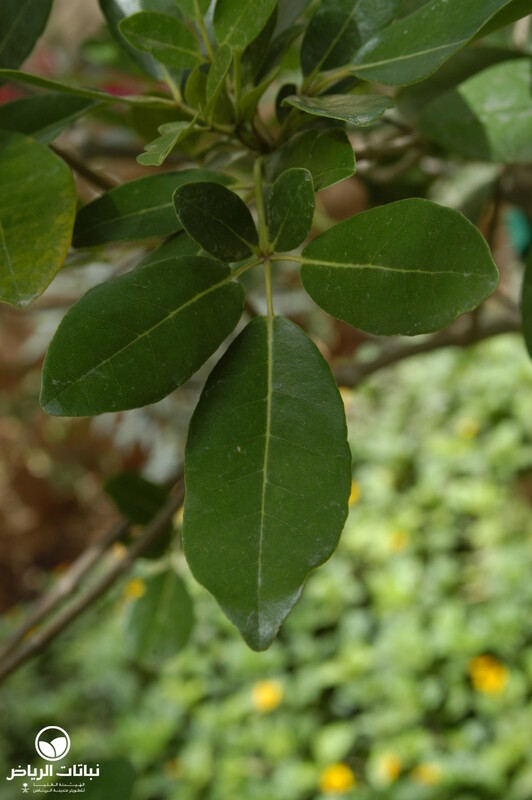 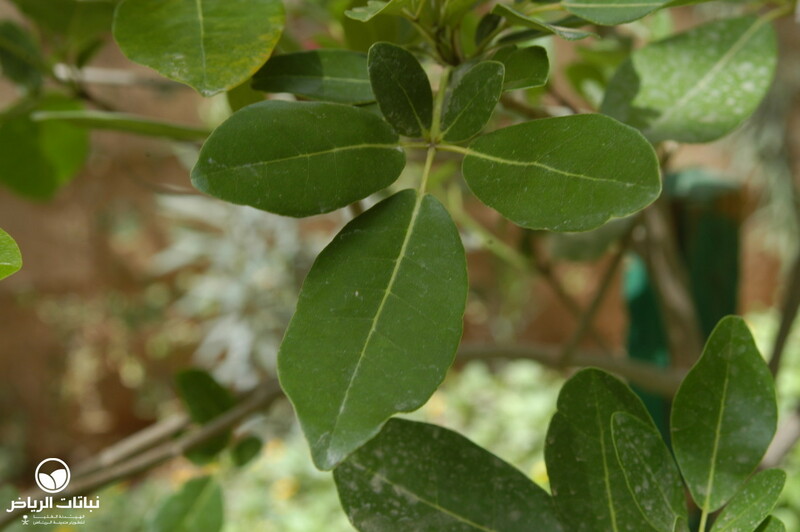 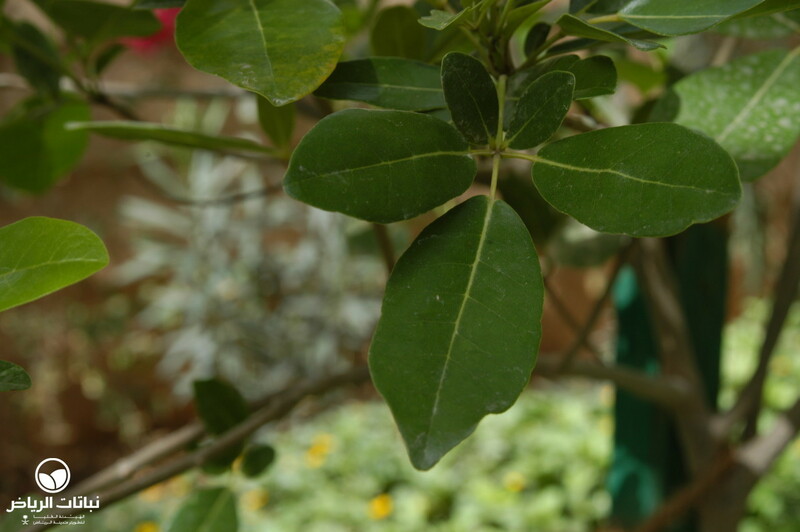 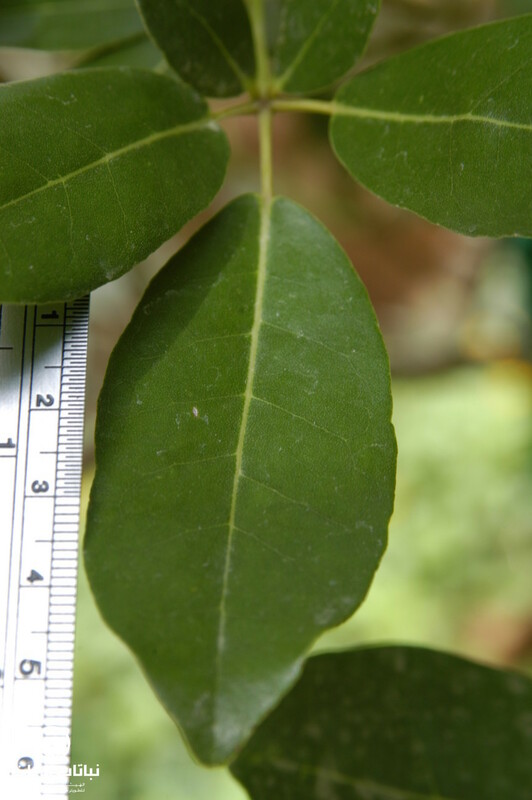 Dark-green leaves are compound and finger-like: each leaf has five leaflets, the middle one being the largest. 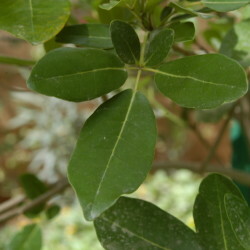 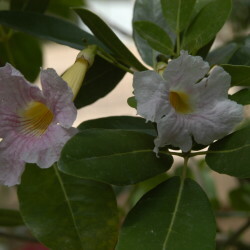 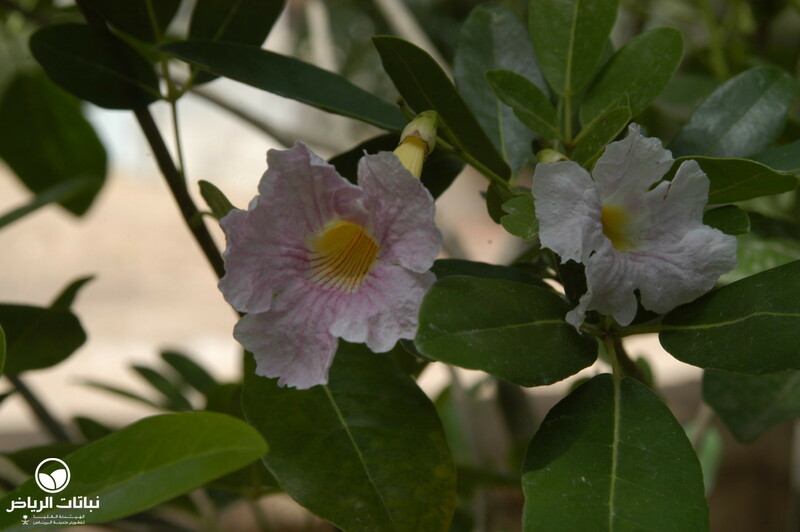 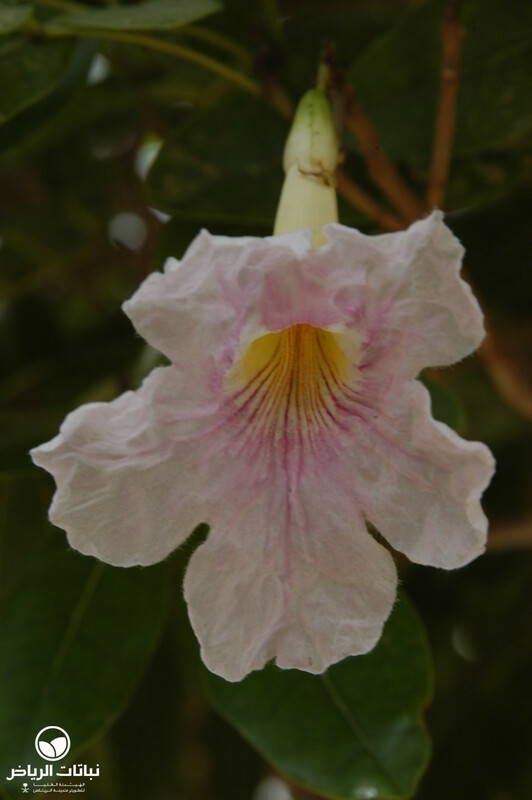 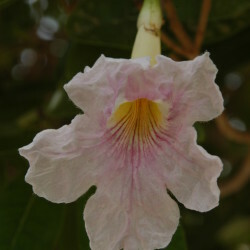 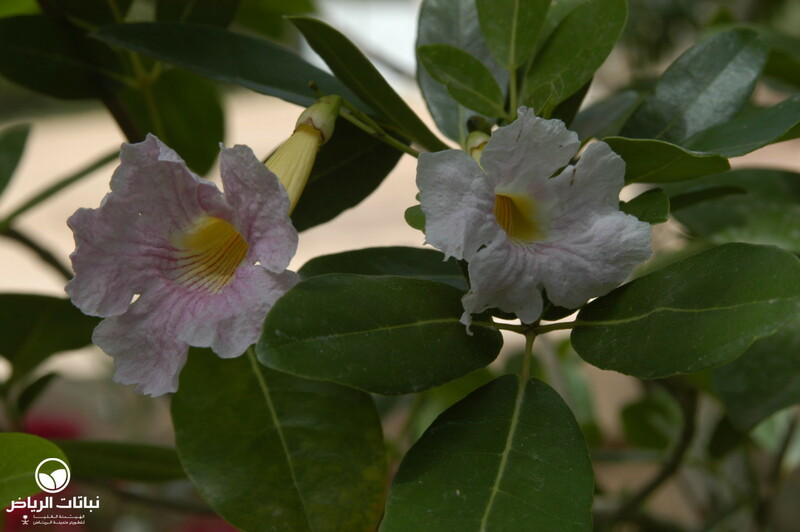 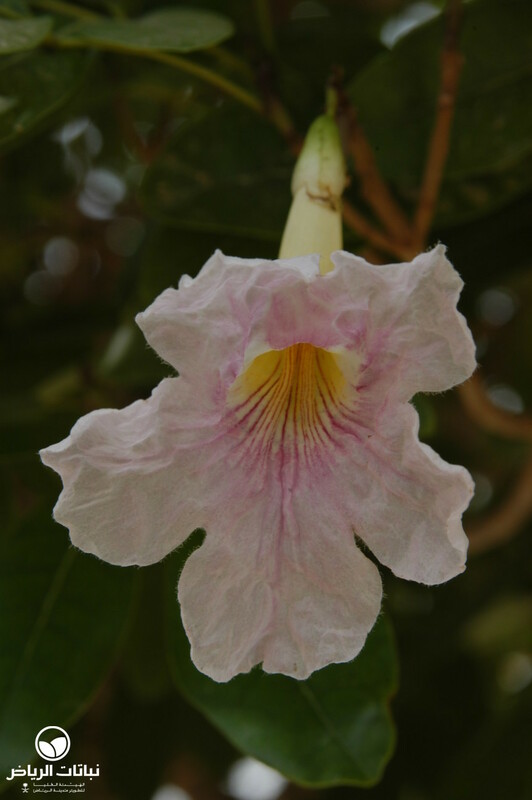 The tree begins to drop its leaves at the end of a hot, dry summer; large, purplish-pink to nearly white flowers, measuring almost 7 cm across, open in early spring. 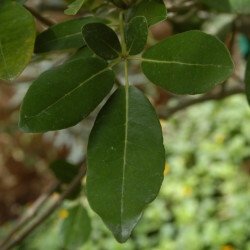 Long and slender seedpods contain many winged seeds. 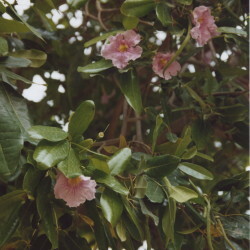 Fallen flowers retain the pink colour, forming a colourful carpet beneath the tree. 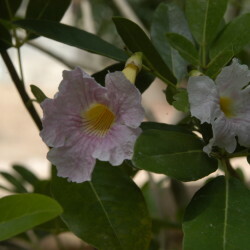 In an arid location, the tree flowers very profusely. 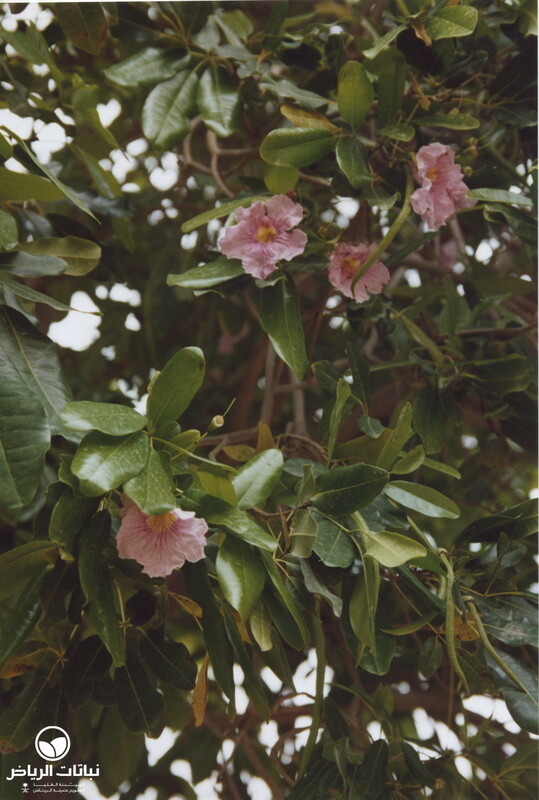 A moderately drought-resistant tree, T. rosea grows well in deep rich, well-drained sandy soil with variable pH values, but requires regular, abundant irrigation. 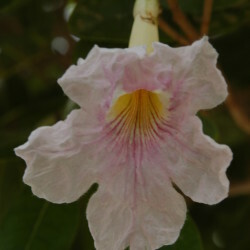 It can be damaged by frost. 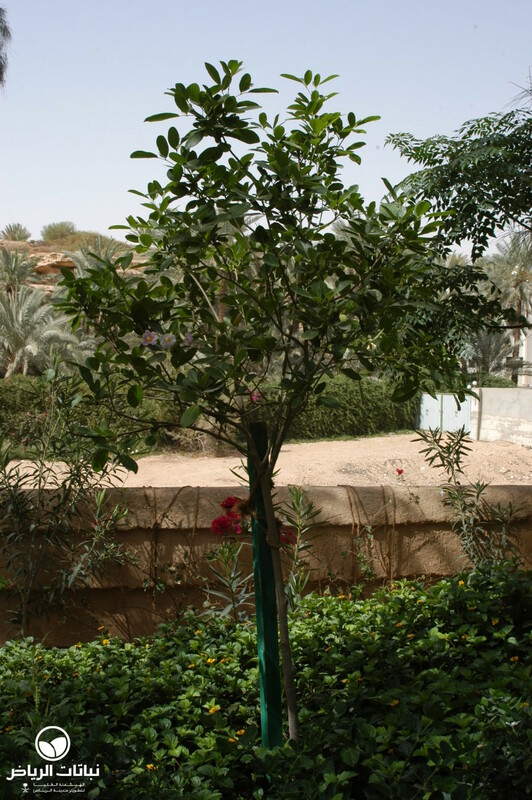 Pests and diseases have not been observed. 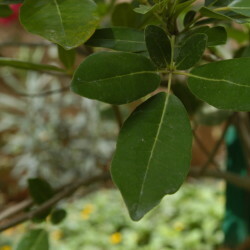 Propagation is by branch cuttings and seed. 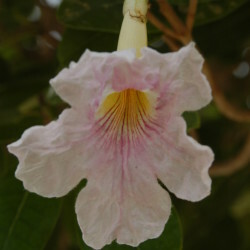 The Pink Trumpet Tree is a common and showy flowering tree in the tropics, and is often planted along roads, and in parks and gardens. 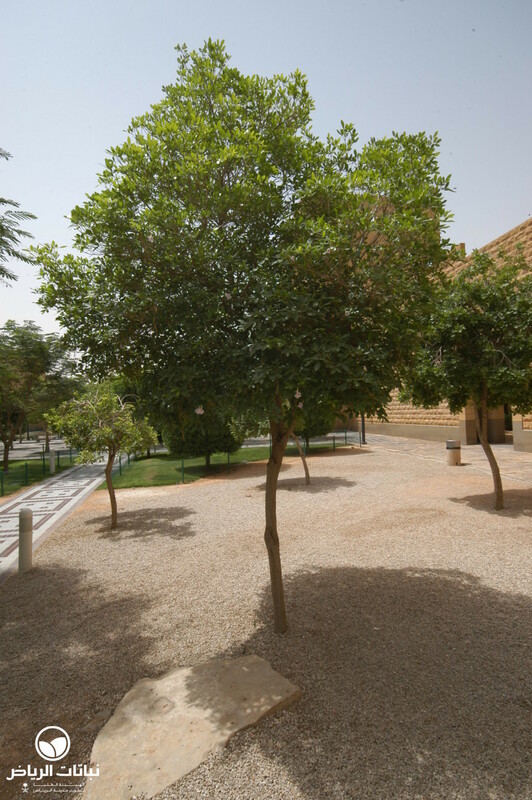 It is an excellent shade and specimen tree for pathways. 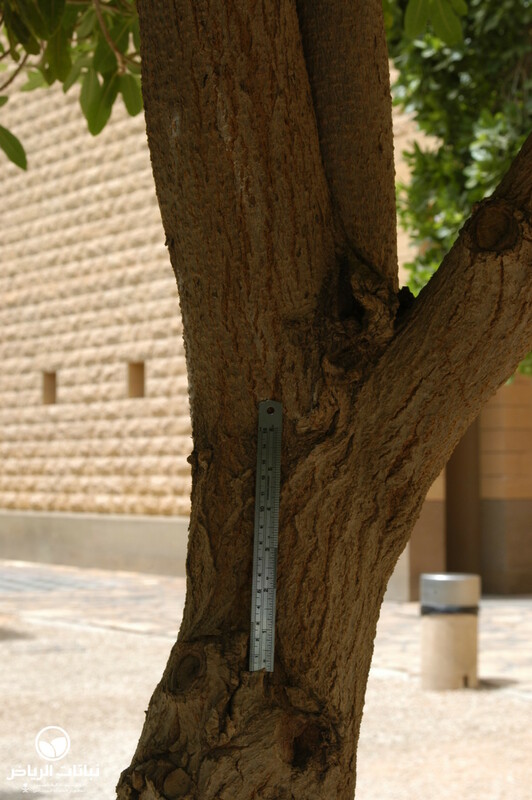 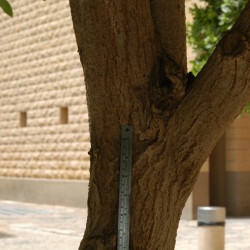 Maintenance is low: trees withstand a limited amount of pruning, but cannot be cut back hard.